Ya’ll, I never thought I’d get Rhema out of this pool full of corn! LOL! 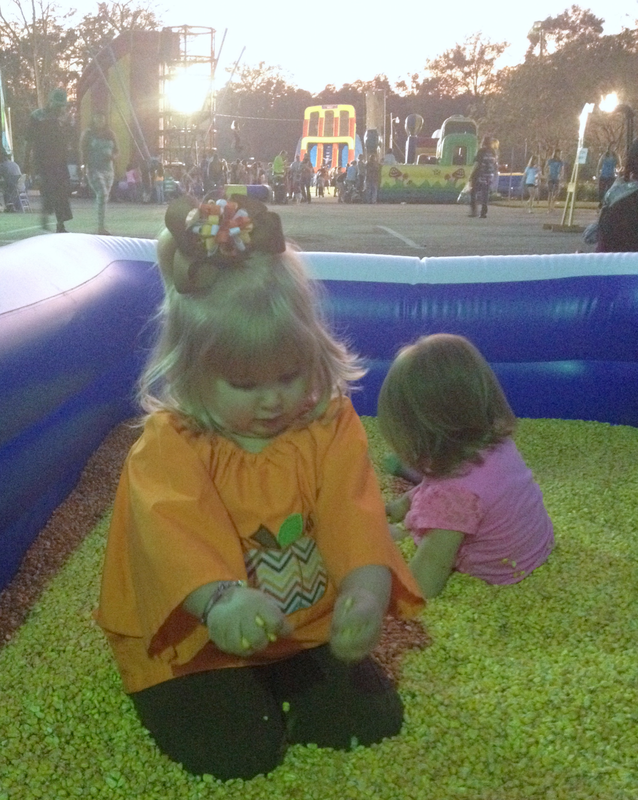 We attended Rhema’s Uncle Mike’s church’s Harvest Festival and Rhema fell in love with their Corn Pit! I hesitated to bring her as I knew most, if not all, of it would be inaccessible to her, but I thought at the least we would go get her faced painted and visit our family. They had this toddler section which has a tiny bounce house, a ball pit and this pool full of corn. What started out as a short stay turned into 2 hours of corny fun! 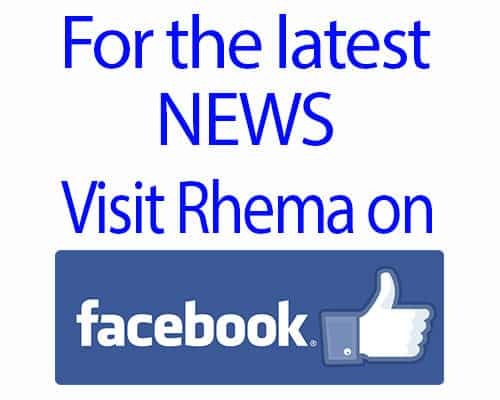 Rhema LOVED it! Like, I’m thinking of how to get a small pool and some corn for Thanksgiving day, kind of fun! LOL! She played for two whole hours! 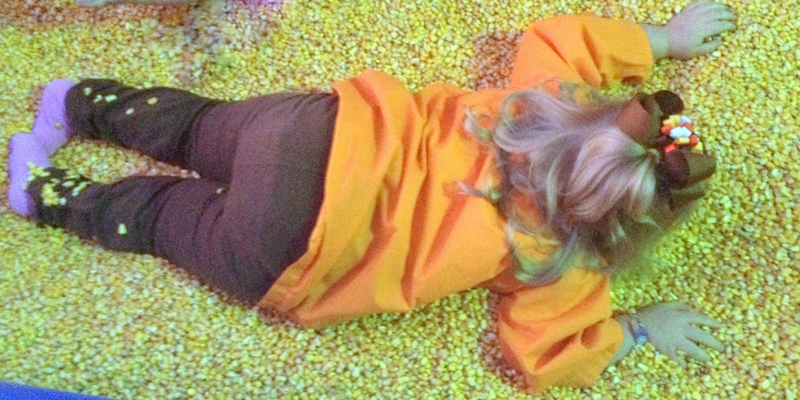 What was so funny was she would roll over to her back and make “corn angels” like you would make “snow angels.” LOL! 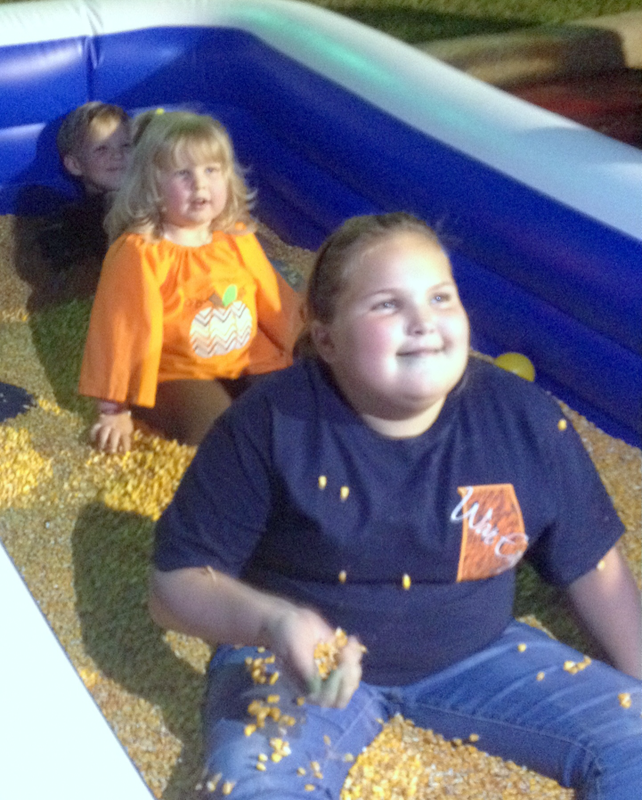 3 Cousins In a Corn Pit! What was the most fun to watch was to see Rhema play with all the kids who would come and go. There were a few little girls that stayed with her in there most of the time and they would play so well together. Toward the end her two cousins, Lydia and Andrew, got in and they all three played together. Oh, just So. MUCH. FUN!!! Man I wanted to get in there with her it looked like so much fun! LOL! So, anyone have a pool and some corn they want to donate to our Thanksgiving Day festivities? Baby girl needs a corn pit to play in! LOL!